There’s still plenty of Noro Hitsuji still in stock at 50% off here at Little Knits! 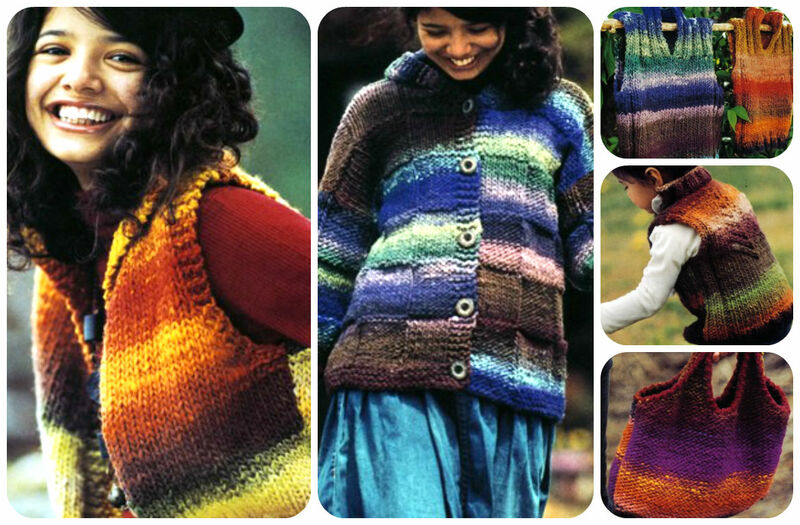 Another pattern book featuring quick knits in Hitsuji is Noro’s World of Nature, Volume 30. We love the eclectic variety of patterns this book has to offer: men’s, women’s and unisex sweaters, accessories, and kid’s sweaters too! All designed to showcase Noro’s signature stripes. Noro World of Nature Volume 30 offers four patterns in Hitsuji. An easy, layer-able sleeveless jacket takes just 3-4 skeins, while the hooded coat in textured basket-weave takes 7 skeins (the pattern is written in one size only, to fit bust sizes 34-38″). Finally, the adorable child’s vest with ribbing detail and back motif takes just two skeins, as does the reverse-stockinette stitch tote bag! These projects will take no time at all to complete – keep yourself and your loved ones toasty and colorful with some Hitsuji!